The RCC is pleased to announce the availability of research grants to support staff costs in relation to research projects commencing during 2018. The RCC awards research grant funding through a process of open competition with high quality peer review. Applications are invited from UK institutions to fund the costs of personnel undertaking research in the UK, but may relate to projects that involve collaboration with partner/s overseas. 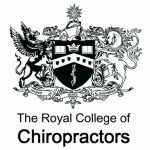 Applications to support collaborative ventures between chiropractic and non-chiropractic institutions are particularly welcome. The RCC is a non-commercial partner of the National Institute for Health Research (NIHR) and RCC Innovation Grant holders will be eligible for NIHR Clinical Research Network Support if their project is of clear and demonstrable value to the NHS. In making funding decisions for this type of grant, the RCC takes appropriate account of the priorities, needs and realities of the NHS, social care or public health. Up to £16k funding per annum for 3 years (total funding = £48k over 3 years). N.B. The grant sought must be equally matched by funds secured/applied for elsewhere. The individual to be supported by this grant must have completed their PhD and had no more than 4 years of postdoctoral research experience. Funding decisions for both types of grant will be based on the quality and feasibility of the proposed research, the background, expertise and track-record of the proposed grant holder (i.e. the Principal Applicant) and the suitability of the research environment in terms of resources, systems and facilities.